Vinyl & Lino are varieties of plastic floor covering often found in areas with high levels of foot traffic such as shopping centres, nursing homes, kitchens & laundries, just to name a few. Vinyl is a great choice as it is durable and an easy surface to maintain. Care must be taken, however, to protect the surface from new, as once the surface finish becomes abraded by foot traffic it becomes progressively more difficult to maintain a highly polished finish and when the wear is bad enough, it can prove to be virtually impossible. 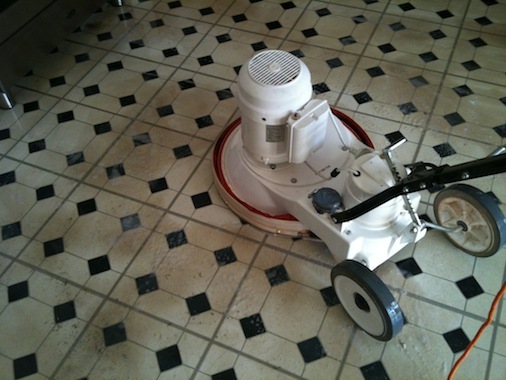 It is therefore essential to start maintaining the floor surface from the moment it is laid and that is the procedure we’re going to look at now. Here at Tile Cleaners we provide professional stripping, cleaning and sealing services for all your Vinyl & Lino floors needs! There are several major subgroups of vinyl, which evolved from linoleum and is typically a mixture of cork powder or other wood dusts, certain pigments and binding agents pressed into sheets. The sheets are then covered with a transparent wear-resistant layer to seal the vinyl underneath and give the surface a finished look that varies from matte to a glass like shine. Vinyl has always been popular, because it boasts excellent qualities – it’s durable and affordable, looks appealing and is fairly easy to maintain. Of course, one of the greatest things about vinyl flooring is that it also comes in a great deal of colours and patterns and ultimately, there is no look that cannot be mimicked by vinyl flooring. Vinyl flooring is made of several materials, the most common being true vinyl, thermoplastic, and linoleum which is making a comeback due to its versatility and excellent durability. All are smooth, water resistant to a high degree and can be polished to virtually a mirror-like finish. Care must be taken, however, to protect the surface from new, as once the surface finish becomes abraded by foot traffic it will become progressively more difficult to maintain the highly polished finish and if the wear is bad enough, it can prove to be virtually impossible. It’s therefore essential to start maintaining the floor surface from the moment it is laid, which is the procedure we’re going to look at now. 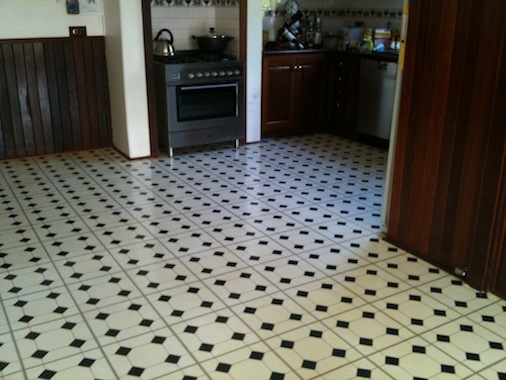 Here at Tile Cleaners we provide professional stripping, cleaning and sealing services for all your Vinyl & Lino floors needs! 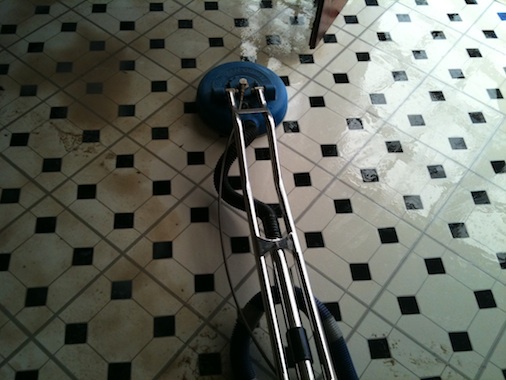 PreviousPrevious post:Methods of floor cleaning: Wood flooringNextNext post:What is Linoleum?